It’s been a little while since I posted and that’s mainly because I’ve been finishing off my course in Portuguese. The good news, dear reader, is that I passed and have acquired (so my certificate says) “a sound understanding” of the behemoth that is Portuguese grammar. The bad news is that, as with many things in Brazil (see Jeitinho Brasileiro), Brazilians tend to improvise when it comes to the rules and structure of their beautiful language. Consequently, whilst I’m frequently told that my Portuguese is improving, my suspicion is that those kind souls are merely humouring me and that in reality my hand signals are making just as much impact upon my day-to-day discourse. To be fair, my acquisition of Portuguese has probably not been helped by my insistence upon visiting Spanish-speaking countries around the continent – like the short jaunt I made to Buenos Aires last month. Buenos Aires is undoubtedly one of my favourite places in South America (shhh I should only say this quietly as my visa is still being processed) and, as I’ve mentioned elsewhere, it was whilst I was there on my travels around the continent that I met my future (Brazilian) wife. That was over four years ago now (yikes) and seeing as it was our anniversary recently we decided to take advantage of one of Brazil’s (many) holiday weekends to go back and visit the place where it all began. After schmoozing with Brazilian celebs last week my wife and I decided that we (I) deserved a hard-earned break somewhere far away from São Paulo. Somewhere where people wouldn’t recognise me in the street. 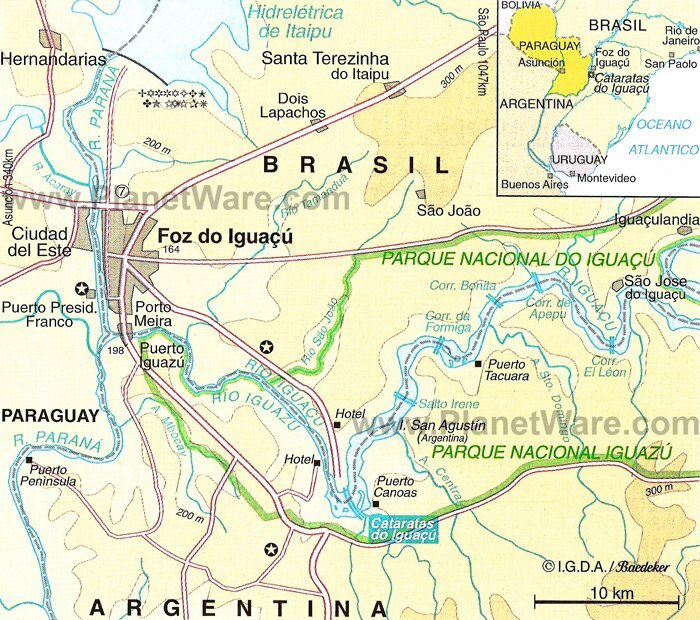 And so we took advantage of the long holiday weekend to travel down to Foz do Iguaçu in the south-west of Brazil. From Foz, which is close to both the borders of Paraguay and Argentina, you can visit the extraordinary Iguaçu Falls – we intended to view them from both Argentina and Brazil. However, this is South America so, you know, the best laid plans of mice and men and all that. Saturday was lost to an epic storm whilst Sunday was even more disastrous. At the entrance to the Argentinian side they wouldn’t accept Brazilian Reais or payments by card. Then, the ATM wouldn’t give us any money. Frustrated, we crossed back over the border and instead went to the Brazilian side where they accepted Reais, Argentinian Pesos, Dollars, payments by card and even bloody Euros. Brazilian inefficiency? Who would dare ever speak of such a thing? Pah!